Release Day Hounds! Card TEN is up at Love Bytes! The Black Dog Blues Magical Mystery Tour has begun. Collect all the trading cards you can and head back to rhysford.com at the end of the tour! There’ll be cashy money…okay. Pixelated money. But still! Card TEN is out at Love Bytes! 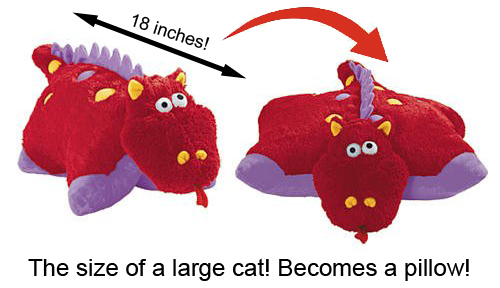 Enter to win one of our red dragons! Now, on each stop of the tour, there will be monster trading cards. THOSE are what you want. Collect them all… or as many as you can because on the FEB 7th, I will be posting a list of questions based on the monster’s trading card. There will be twenty-four questions and the twist? I’ll be giving you the fact and YOU match up at least three monsters to their corresponding fact and the blog the card came from. A $50 gift certificate to the etailer of their choice. So hit the blogs, enter to get a dragon, grab a few cards and come back to win again! See you back here on February 7th! Purchase Black Dog Blues at DSP Publications, Amazon or other fine Book peeps. Card NINE is Out! Comment at TNA to win a Dragon! Release the ELEVENTH Hound! Tour Card At Prism Book Alliance! Have a safe trip Rhys 😎 …15hrs?! 11hrs about does me in when we go visit family in England!